Coloured networks; finite-time analysis; global projective synchronization. A novel finite-time analysis is given to investigate the global projective synchronization on coloured networks. Some less conservative conditions are derived by utilizing finite-time control techniques and Lyapunov stability theorem. 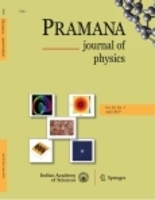 In addition, two illustrative numerical simulations are provided to verify the effectiveness of the proposed theoretical results.